The Atlantic City Boys & Girl’s Club and the United Way of Atlantic City jointly present “Celebrating the Northside” on Feb 10. The event–held during Black History Month in recognition of the unique accomplishments and contributions of Atlantic City’s African American community–will feature live jazz along with art, photography, and history exhibits. 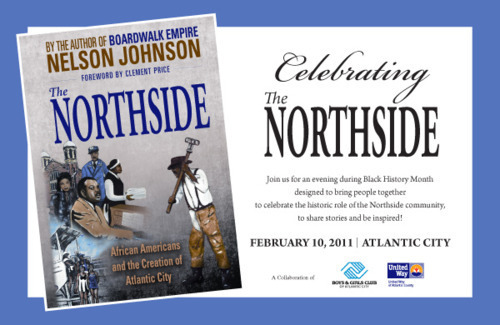 It will also mark the public launch of the new book, The Northside: African Americans and the Creation of Atlantic City, Nelson Johnson’s remarkable sequel to Boardwalk Empire. The $25 admission benefits the two charities and includes a free book signed by the New York Times bestselling author.